Scotts Cordless 7.2-Volt Lithium-Ion Garden Shear Combo Set is convenient, rechargeable, lightweight and easy to use. The two interchangeable blade system allows grass edging and hedge trimming. The quick blade changing system requires no tools so you can go from cleaning hedges to clipping grass in no time. The built-in rechargeable lithium-ion battery provides the power you need for beautiful detailing of your yard. It includes both a 6.5 in. shrubbery blade and a 4 in. grass shear blade to provide versatility and convenience in one tool. It's perfect for quick touch-ups, manicuring gardens or flower beds. Just charge it with the included charger and go. No cords, no oil and no gas. 2-year warranty. Scotts Cordless 7.2-Volt Lithium-Ion Garden Shear Combo Set is convenient, rechargeable, lightweight and easy to use. 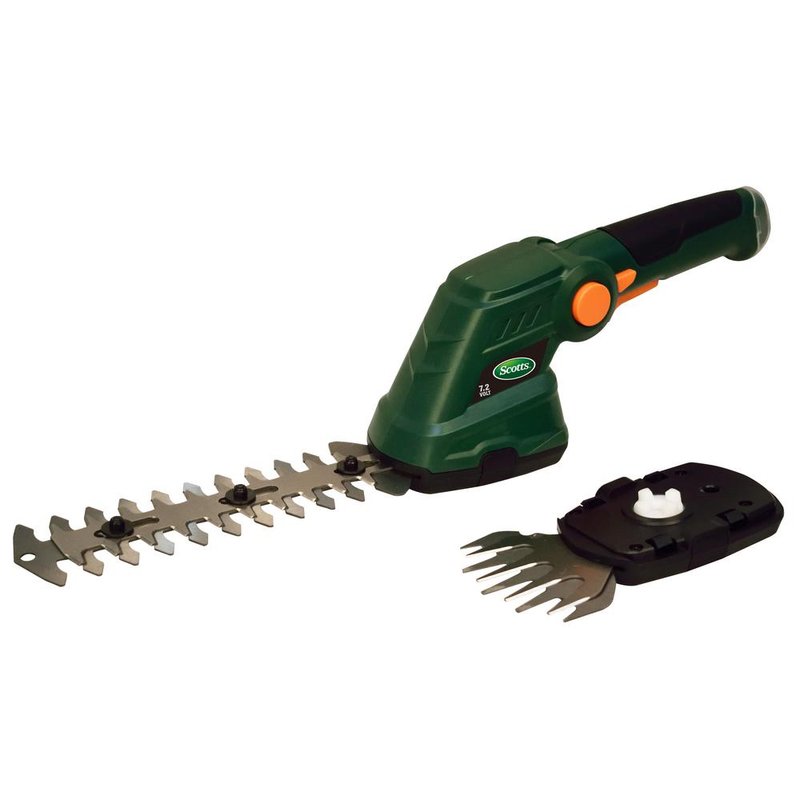 The two interchangeable blade system allows grass edging and hedge trimming.